Sussex born annaJo has been writing songs for twelve years and along the road has received awards and acclaim for her musical achievements. It is not until now that she has come to the attention of us at LTTM and what a find she is. Read More Sussex born annaJo has been writing songs for twelve years and along the road has received awards and acclaim for her musical achievements. It is not until now that she has come to the attention of us at LTTM and what a find she is. Nobody likes to be pigeonholed, but it's hard not to compare her in style and quality to similar singers and songwriters like Esther Alexander, Cathy Burton and Phillipa Hanna. annaJo has a very strong and distinctive clean vocal tone, blend this with the sharp sound of rock, a hint of jazz, and the warmth of pop, and this is one strong performer to take notice of. The album Just Me is split between two CDs, the first CD being six strong songs recorded with full band and sound, the second CD named as Just Acoustic has seven tracks all of which are recorded acoustically. The first CD has some amazing and stunning songs that show off the quality of this strong and talented songwriter. Title track Just Me and Gideon particularly stand out. The second part of the album sounds a little bit more simple, but the simplicity of the songs on this half is what gives them a raw, honest and intimate touch. The acoustic half of the album seemed to get more plays on my iPod, even though it isn't as produced and full in sound as the first half of the album. There is a powerful and subtle sense to these songs. A wonderful and exciting find, but don't take my word for it. annaJo has wonderful promise, strong honest vocals, and at times some gentle humor in the lyrics. 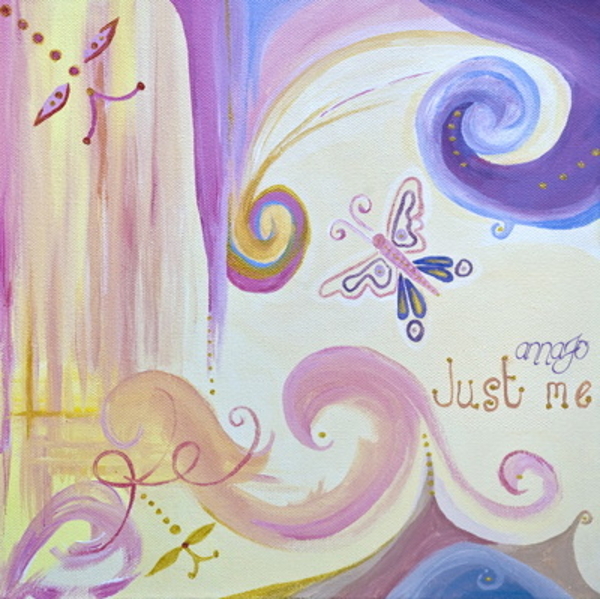 'Just Me' could be the start of so much.